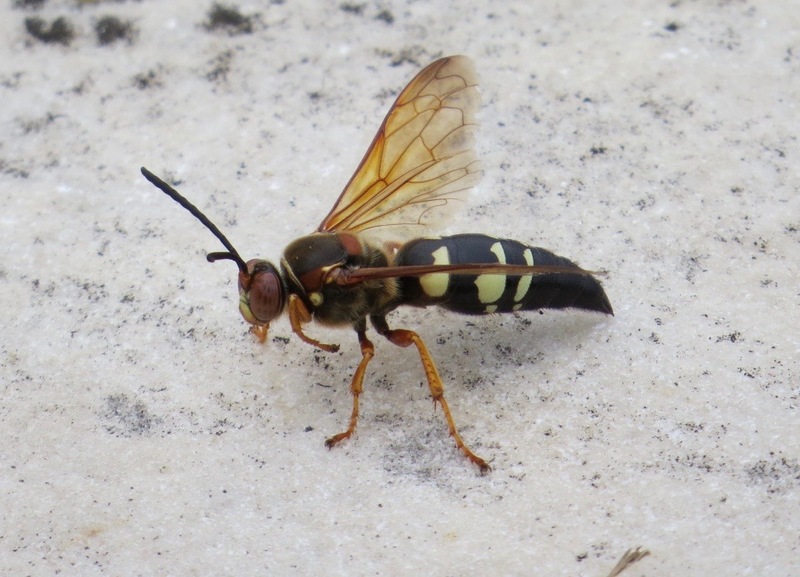 Every August you’re practically guaranteed to see poor soul someone jump and shout in terror when they see a Cicada Killer Wasp. 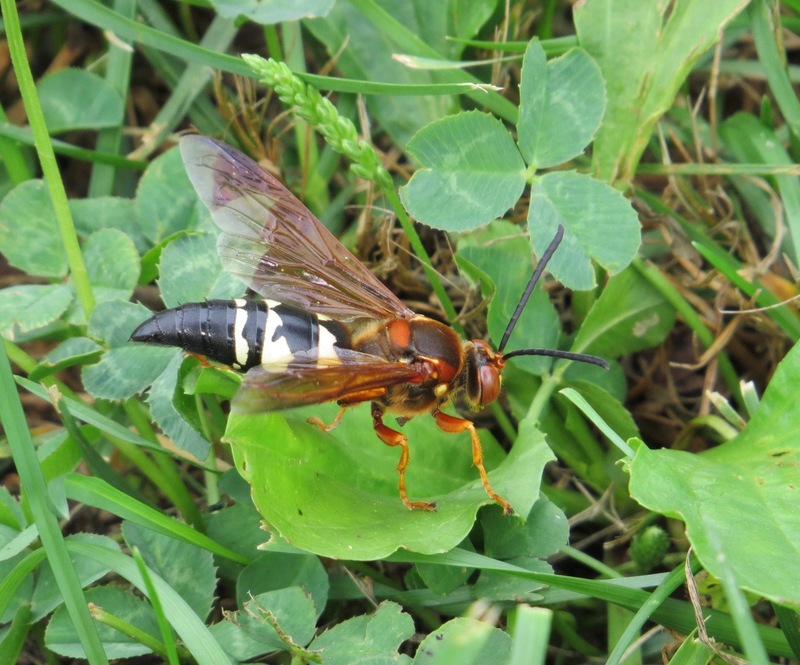 Sphecius speciosus are big; over an inch, and tend to fly low when they’re not scouting out trees for cicadas to capture. 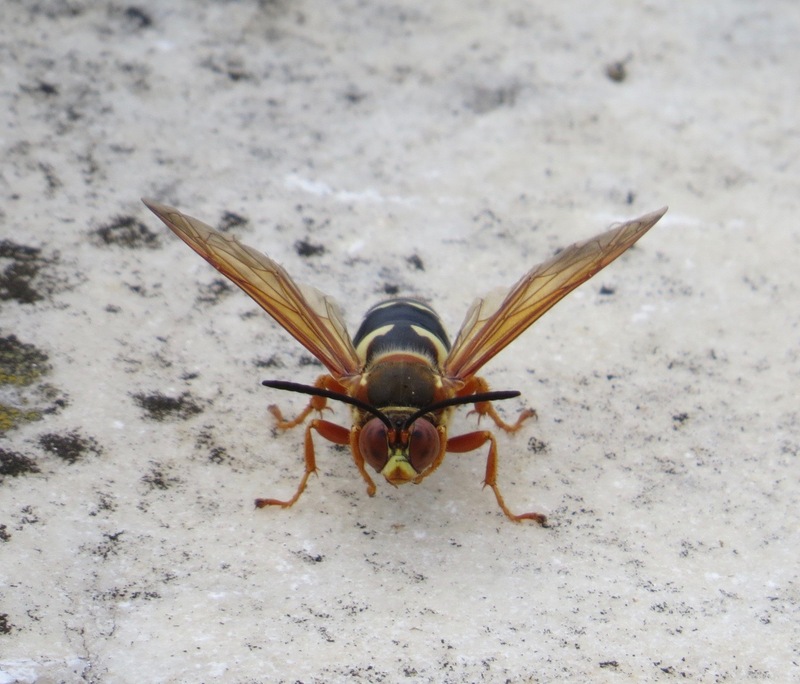 You need a big wasp to take home a big bug. It’s a wrestle.